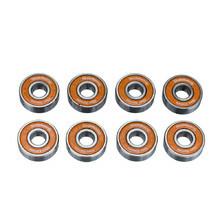 In our wide selection of skateboard, longboard and penny board bearings you’ll find all types, from ABEC 1 to ABEC 11. 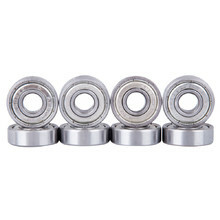 The bearings are compatible with all types of boards and they can also be used on scooters or inline skates. 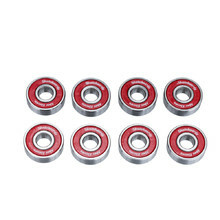 Additionally, we offer special colour versions to complement the colour of your wheels or board. 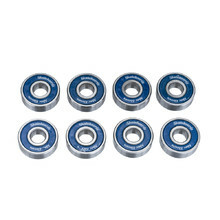 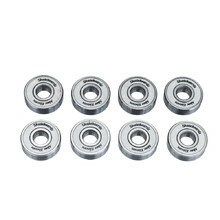 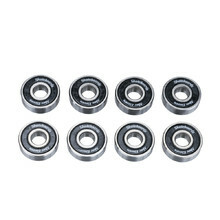 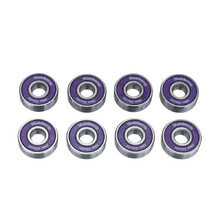 Bearings intended for in-line, scooters and skateboards - 8 pcs/pack. 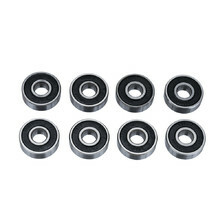 Bearings intended for in-line skates, scooters and skateboards - 8 pcs.